Nearly half of all insect species worldwide are in rapid decline and one-third could disappear altogether, according to a study warning of dire consequences for crop pollination and natural food chains. The research found that 41 percent of the world’s insect populations are declining, while a third are endangered. The extinction rate of insects is eight times greater than those of mammals, birds and reptiles, and there are suggestions they could totally vanish within a century. 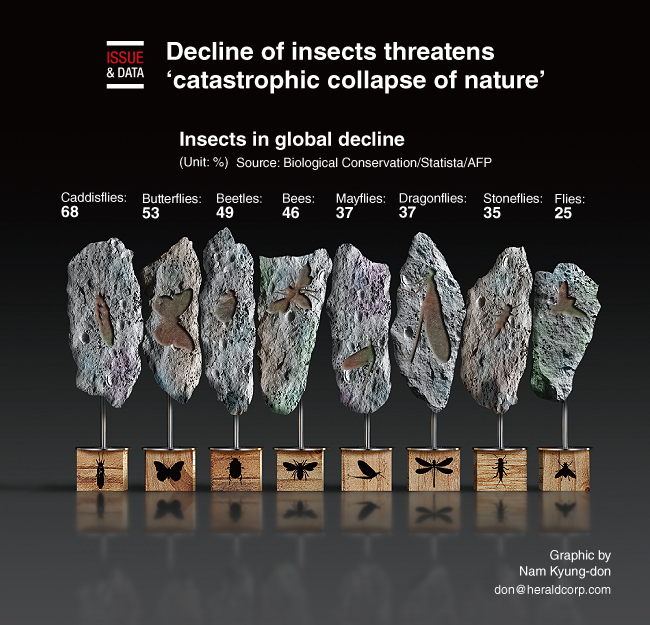 The general insect decline is believed to be caused by intensive agriculture, pesticides and climate change.